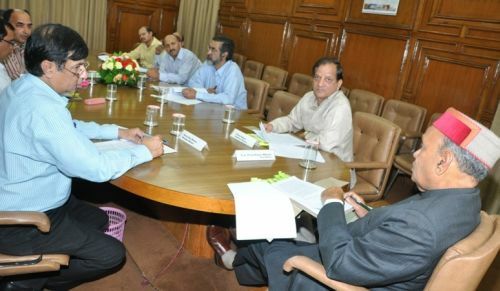 The State Level Single Window Clearance and Monitoring Authority (SLSWC&MA) in its 63rd Meeting held here under the Chairmanship of Chief Minister Prem Kumar Dhumal granted approval to four new proposals for setting up of industrial projects besides three expansion proposals of the existing units with combined proposed investment of Rs. 288.89 crore and generate employment to 832 persons. New proposals included M/S Singhania Beverages Limited which would be investing Rs. 175 crore and generate employment to 85 persons; M/S Foremost Dairies Private Limited to invest Rs. 14 crore and generate employment to 140 persons. Chief Minister laid stress upon close scrutiny of all industrial proposals with regard to actual requirement of land, water and power. He said that since the land for industrial development was limited and needed to be utilized for actual requirement. He said that each proposal approved by the Authority needed to be monitored and all possible help would be extended to them in early setting up of their industrial units. He said that the industrial units needed to be advised not only to incorporate anti pollution devices into their mechanical infrastructure but also harvest the rain water and recycle the same for non-consumption purposes. He said that large number of investment proposals which were in the pipeline needed to be scrutinized closely and all related aspects taken into consideration before putting up the same for approval of the Authority. 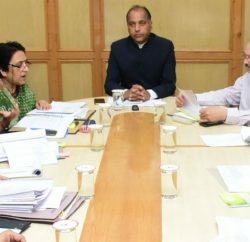 Prof. Dhumal said that the interest of the people of the State was above all for the State Government and mandatory condition of 70 percent employment to local people needed to be adhered to strictly. He said that pollution had emerged a matter of grave concern which had to be checked by concerned authorities regularly. He said that the State had always been considerate towards genuine grievances of the investors in industrial sector and had been providing remedial solutions to all their problems. He said that it was due to the good will earned by the State with the investors that a large number of industrialists were submitting their investment proposals for setting up of industrial units in Himachal Pradesh. 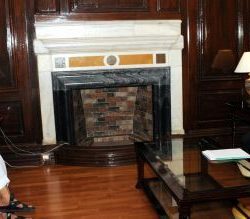 He said that the State had adopted open door policy with regard to industrial investment subject to the condition that the proposals were in accordance with the Industrial Policy of the State and generate employment to local educated unemployed youth besides taking care of the pristine environment. He said that the State had unparallel facilities available to the industrial investors which had been the motivating factor to attract them for investing in the State. Kishan Kapoor, Industries Minister, said that industrial investment worth thousands of crores of rupees had been attracted during past four years of the present government which included a number of multi-national prestigious companies. He said that all required administrative support and other basic infrastructural facilities were being insured to them locally. 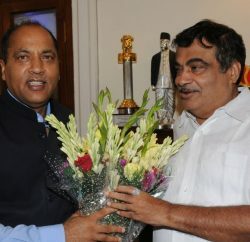 J.S.Rana, Commissioner, Industries, welcomed the Chief Minister and conducted proceedings of the Meeting. Chief Secretary S.Roy, Deepak Sanan, Additional Chief Secretary, Dr. P.C. Kapoor, Principal Secretary Industries, Dr. Shrikant Baldi, Principal Secretary Finance, R.D.Dhiman, Chairman, HPSEB, Shri J.C. Sharma, Secretary to the Chief Minister, Sanjay Sood, Member Secretary, HP State Pollution Control Board, R.K. Sharma, Engineer-in-Chief, IPH, Dr. Rajender Chauhan, Industrial Advisor and other senior officers were present in the Meeting.